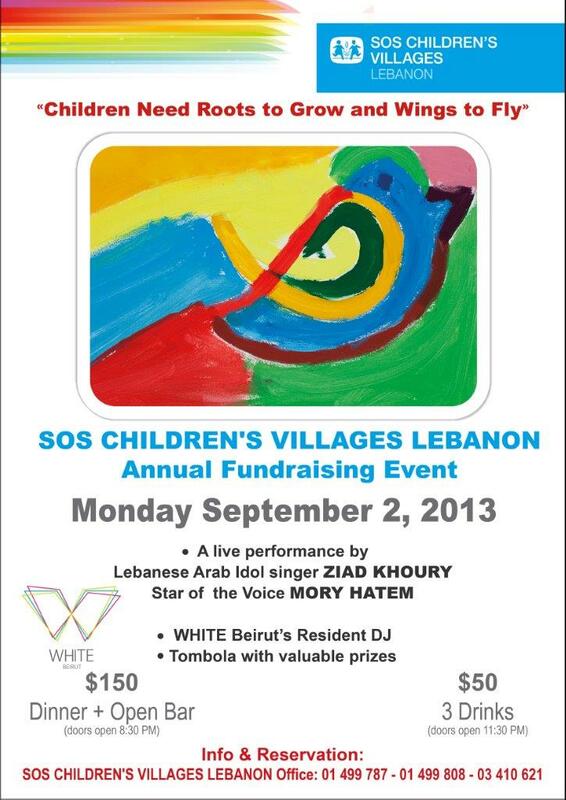 Details: Join SOS Children’s Villages for its annual fundraising event at WHITE Beirut on Monday September 2nd and support a child’s right to education this year! While you dine, drink and socialize with your friends, Lebanese Arab Idol singer ZIAD KHOURY and Star of The Voice MORY HATEM will serenade you with the best vocals in town until White Beirut’s resident DJ takes over to keep the party going all night. What’s more is you have the chance to win valuable TOMBOLA prizes – including a MEA flight to Istanbul, a 3-course dinner for 2 at LE GRAY HOTEL, and much more! Support SOS Children’s Villages, and have fun while doing it!